Are you searching for the best beginner drones 2019 with an affordable cost? Then Mini and Nano Quadcopter Drones can be a perfect choice. You can buy any one of the beginner drones from this top 10 Mini and Nano Quadcopter Drones in 2019. First of all, let me explain the difference between Nano and Mini drones. A Nano drone should be a very little one and can fit in your Palm. On the other hand, a Mini drone is about the size of your hand. The quadcopter is an alternate name of a drone where it has 4 rotors positioned on a horizontal plane. Why Nano or Mini drones? Nano drones are cheaper than the professional drones. It is perfect for beginners to learn the basics at an affordable price. The crashes are not as destructive so that you can safely fly it on indoors and outdoors. Mini quadcopters are good to fly at both indoors and outdoors. But the Nano drones are a good fit for indoors but not for outdoors. The reason is due to the tiny size of Nano drones, it’s hard to control in the heavy wind (drone may damage/ crashed). During an outdoor flight, you can fly your Nano drone only at the light breeze. If you are a beginner flyer, I would personally suggest you learn the basics such as rolling, landing, hover, and operating a camera with these mini and Nano drones. Once you mastered the skills, then go for the professional drones. There is a misconception that cheap miniature quadcopters have limited features. But that’s not true, they have all features like a professional drone but with limited specifications. They have a 360-degree view, FPV, Camera, 4 channel controllers (right, left, backward, forwards) to move the drone, good transmitters, flight time, etc. You can use battery packs or USB connector to charge the quadcopter. If you are a beginner, then it’s a better idea to protect your drone propellers with Propeller guards. So that you can save your money from buying the propellers often. How to select Best Mini/ Nano Quadcopter to buy? Selecting the best Mini Quadcopter to buy in 2019 is not an easy task since there are a lot of Nano and mini quadcopters are for sale in the market now. So I make a list of 10 best Nano quadcopters from the popular drones available in the market. Hope this will help you to select the drone which suits your purpose and budget. Due to its tiny size, all the below-listed drone models are under $50. Hope this price range is up to your budget. Please note that due to its cheap cost most of the drones does not come with an extra battery. Also as a beginner, you cannot fly your drone without crashing. So it’s better to buy additional propeller guards and batteries to get a smooth flying experience. Also, all Mini and Nano drones are lightly weighted ones (less than 0.55 pounds), so no need to register with the FAA. Here is the list of 10 best Nano drone quadcopters 2019. Have a look at the reviews and get the drone which suits your need. The Holy Stone HS170 is one of the bestselling smallest drones. When compared to other mini-drones, it has good control over the wind. The inbuilt wind resistant technology enables this mini quadcopter to withstand medium wind. It has 6-Axis gyro stabilization system to get faster recovery after stunts and sudden flips. LED lights in front and back that look great in low light flying. The 3 Different Speed Modes helps you to learn hover and landing. The Headless Mode brings much more confidence for the beginners and young children to fly this simple little Nano copter. The Syma X5SW-V3 the best handling Nano quadcopter with a camera. It can be equipped with the first-person view too! This inexpensive small quadcopter is good for the beginners and the one who looks for the best mini quadcopter with a camera. This is one of the best camera drones under 100 dollars. The Headless function, 3D lock, 360° 3D rolling, fpv, and the 6-axis flight control systems make the drone a best one among the cheap drones with a camera. You can control this mini fpv quadcopter drone with the wifi enabled mobile app. At the downside, the HD camera of this smallest quadcopter is about 0.3 MP only. This is a great flying little quad for the money. This nano Quadcopter is well designed and constructed. The pictures and videos are surprisingly good. The camera is a fairly decent little camera, but you can upgrade the MicroSD card. The Flight times were around 7 minutes, which is about average for this grade of a quadcopter with similar battery ratings. One thing to note is that Crash after crash, this mini quadcopter continues to perform reliably. For the price, this is a great nano quadcopter. Really, it is easy to control, it’ll do a 360º flip, the battery life, while not stellar, and not too hard to trim effectively. The UDI U818A RC Quadcopter with Camera is a great Indoor/Outdoor flight. This mini quadcopter is not too good in the wind but extremely durable. This is one of the best nano quadcopters with affordable cost. It is a micro size drone with Mega performance. You can hold this Nano drone m200 in your palm. I would suggest this drone as the best nano quadcopters to fly indoors. In short, this mini-drone quadcopter is cheap, a good flight control range of 200 feet, user-friendly, easy to fly, 360 degree flips, smooth controllers, perform one-touch stunts, barrel rolls during the flight time, good battery life and long flight time of 20 minutes. The 4 blades present in this Nano Drone gives you good flight agility, control, and stability. Hubsan X4 is by far the best toy quadcopter on the market today. This Husban X4 H107L is perfect for flying indoors or in outdoor with breeze wind. Amazingly this nano quadcopter drone can fly so high with such precision! This is the Best small drone you can get for this money. This little one is extremely fast, easy to fly, super smooth, highly durable and gives the good performance. This small Nano quadcopter gives great stability with good flight time. I do suggest getting the propeller guards to protect the propellers. The Estes 4606 Proto X Nano RC Quadcopter is great for Indoor flight. The nano-size makes it suitable even for the smallest rooms. Great Build! The controller is comically small but is surprisingly comfortable in my grasp. This RC Nano quadcopter is very responsive, capable of stable flight and also advanced maneuvering. I’ve been flying RC helicopters and quads, and this Nano quadcopter drone is really fun to fly.The only downfall is the short battery life time. This Blade Nano drone quadcopter is equipped with SAFE technology to give stability and agility modes. The size of this little drone is too tiny (fits in my palm). Even in light winds outside it seems to hold a position with minimal effort. In my view, this RC Nano drone is relatively easy to fly, insanely durable, light on the wallet, good battery life and good flight time. The one thing I don’t like is the DANGLING battery wire connectors. But that’s not a big problem for this awesome mini quadcopter. I would HIGHLY recommend putting on the protective blade guards and extra batteries. Some of the Best Quadcopters in the Mini class are made by KIDCIA last year. I was really impressed with this mini-drone. This mini quadcopter has FPV camera. Although the video camera is 0.3 MP, it gives quality pictures. You can take real-time video with this KIDCIA RC Quadcopter Drone. For aerial photography and videos, this is the best nano drone available now in the market. Even with the camera facility, the size of this nano drone is interesting. You can hold this nano quadcopter within your palm. This mini RC drone quadcopter has smart landing facility, 3 speed modes, 3D videos, Mobile app drone control, and good LED lights for night flight. Another nice little nano drone with amazing features is the EACHINE E010 Mini UFO Quadcopter Drone. 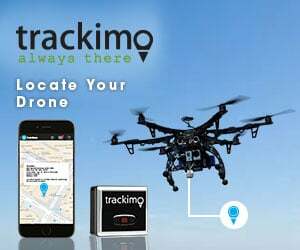 You can get back your drone to you at one click. Quite interesting right? This one-click return feature is mostly incorporated in professional drones to save from drone losing. But this little nano drone has this amazing feature. This is a tiny quad that you can fly around your home or office for fun. As like the above drone, it also has 3D flipping, 360 degree roll over, good flight time and control range. The REALACC H36 Mini Quadcopter Drone is an awesome little nano drone equipped with the latest 6-axis flight control systems. This RC Nano Quadcopter is more or less similar to the above EACHINE E010 Mini UFO Quadcopter Drone. Additionally, this little Nano drone has the HIGH/LOW SPEED-SHIFT feature. So that you can choose the gears according to your operation skill. This Quadcopter comes with Headless mode, so no need to adjust the position of the aircraft before the flight. This nano quadcopter also has the one click return option, so that it’s easy for this little nano drone to find the way home. Are you looking for the best beginner drones 2019 at an affordable cost? Then Mini and Nano Quadcopter Drones can be a perfect choice. A Nano drone should be a very little one and can fit in your Palm. On the other hand, a Mini drone is about the size of your hand. Mini quadcopters are good to fly at both indoors and outdoors. But the Nano drones are a good fit for indoors but not for outdoors. Nano drones are cheaper than the professional drones. It is perfect for beginners to learn the basics at an affordable price. Selecting the Best Mini drone to buy in 2019 is not an easy task since there are a lot of Nano and mini quadcopters are for sale in the market now. So I make a list of 10 best Nano quadcopters from the popular drones available in the market 2019. Hope this will help you to select the drone which suits your purpose and budget.